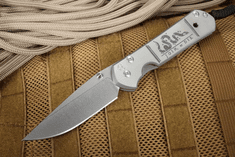 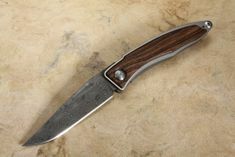 Pocket knives have been around for decades and they have helped with things like cutting rope and opening a package to whittling or removing a splinter. In some cases, they have even saved lives. 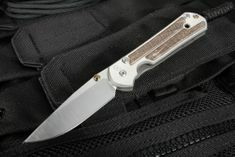 Pocket knives are perfect for keeping around for when you need it. 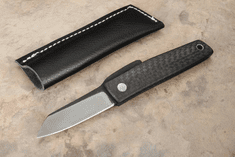 This versatile tool typically has a razor sharp blade and a compact design that makes it easy to carry, easy to access, and easy to use. 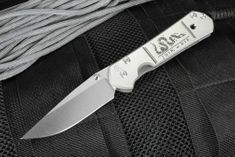 Throughout the years, there have been a variety of changes in aesthetic, design, and build of pocket knives but one thing is for sure, pocket knives are as unique and varied as ever. 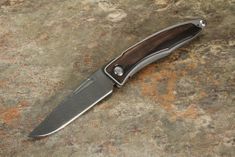 There are so many pocket knives available on the market and it isn't a challenge to find one that is good enough. 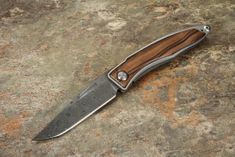 The challenge is to find the right pocket knife for your needs and at KnifeArt.com, we make our selection based on workmanship, quality, and features that you will find useful for all of your pocket knife requirements. 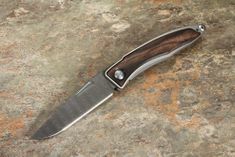 Each one is hand selected and we offer the best options that you can find in a pocket knife. 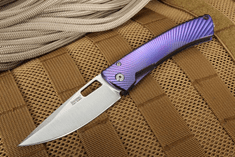 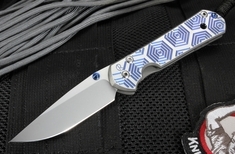 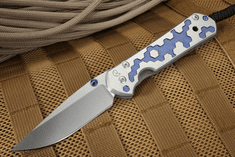 From high quality folding knives and top rated folding knives to the best small pocket knife or custom quality folding knives, KnifeArt.com has some of the best pocket knives in the world and we surely have something that you will love to own. 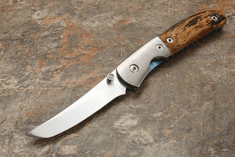 Choosing a pocket knife may be harder than you think. 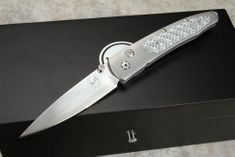 For instance, you will need to know the number of blades you want. 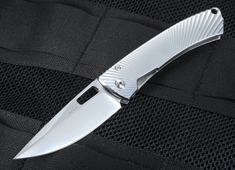 Single blade pocket knives are easy to use and simplistic in design. 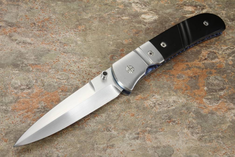 You have one blade and these are typically sturdy and built strongly. 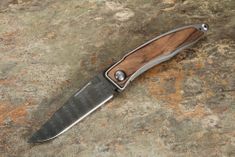 If you want something for more than one job then a multi-blade knife may be your best bet where you can choose from two to four blades. 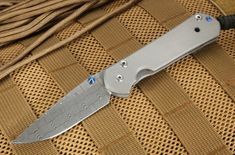 Last but not least are multi-tools where you get more than just a blade - you also get tools on your knife. 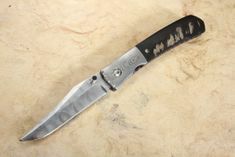 Choosing a serrated, partially serrated, or plain knife is also a consideration. 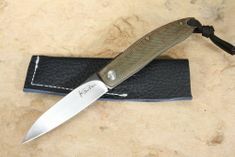 If you want something that cuts well then a serrated knife is a good option but keep in mind that a serrated blade is going to be less graceful than a plain knife. 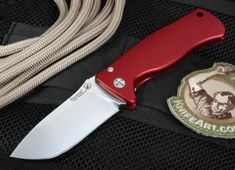 Each has its pros and cons depending on what you plan to use the blade for in the first place. Blades vary in style and here are some terms to be familiar with. 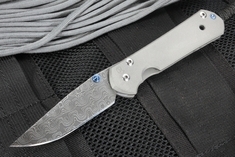 Clip Point, Tanto Point, Trailing Point, Straight Back, Wharncliffe, Pen, Drop Point, Spear Point, Hawkbill, Sheepsfoot, Needle Point, and Spey. 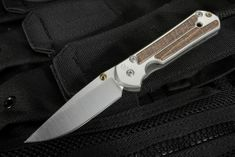 These each have their own advantages and work well for different uses. 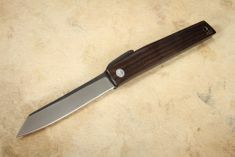 For instance, the Drop Point style of blade are ideal for skinning and piercing while the Straight Back Blade is an all-purpose knife that works well for slicing and chopping and a style that is popular for kitchen knives due to this reason. 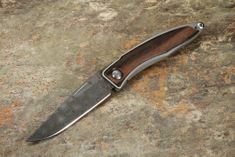 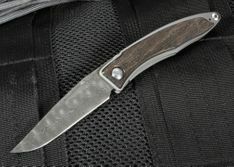 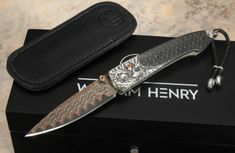 At KnifeArt.com, we know that finding the right brand is important to your customers. 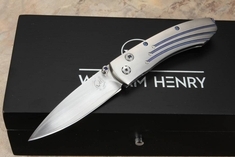 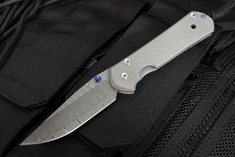 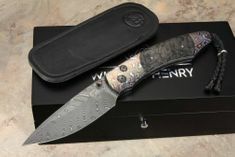 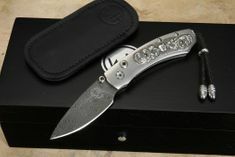 With that in mind, we carry the most popular brands such as Benchmade Knives, Chris Reeves Knives, and William Henry folders - all at prices that are competitive and affordable. 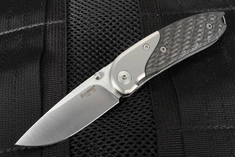 You will also find Fantoni and Lion Steel models as well as high-end luxury models that allow you to enhance your own collection or give as a present to the collector in your life. 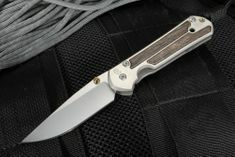 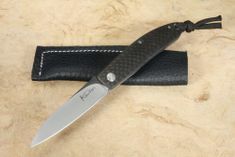 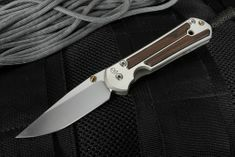 Along with our selection of hand picked pocket knives, we also offer custom made knives. 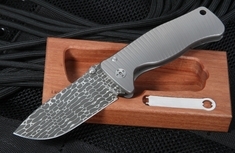 These knives come from artists such as Pat and Wes Crawford, Brian Tighe, Mel Pardue, and Hinderer Knives from Rick Hinderer. 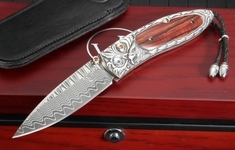 These uniquely crafted designs are one of a kind and represent the artist that rendered them. 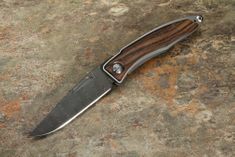 A pocket knife is not a quality item without craftsmanship that is done with care and detail and materials that are the best in the business. Every pocket knife that we carry has high-end materials that are durable and high-performance. 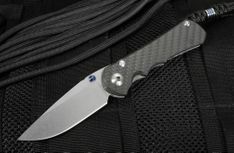 For instance, all of our blades are made from high-performance stainless steel, with handles in carbon fiber or titanium that will stand up to hard work and long hours of use. 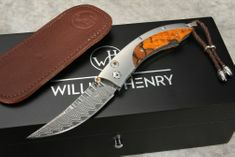 Even the handles that we offer to choose from are of excellent quality with an aesthetic that matches your personality. 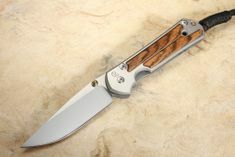 You may choose G10, wood, titanium and with our without inlays. 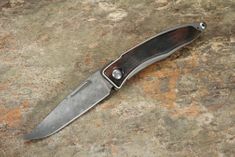 Some of the models even have extras like an easy open thumb stud, cutout, or groove that can be used with your left or right hand. 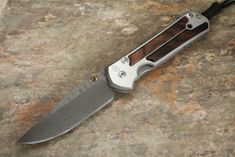 From tactical folders to everyday carry knives, every folding knife model we carry has been hand selected for its quality, materials, and brand. 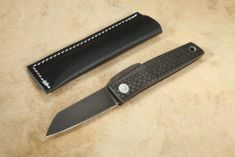 Not only are our knives excellent for your own collection, they also make great gifts as well. 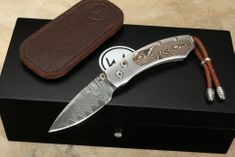 We are constantly adding new models to our inventory so it is a good idea to always check in from time to time. We promise that you will find something you love and the right pocket knife for your wants and needs.